The ISO 14001 standard provides the requirements for establishment, implementation, maintenance and continual improvement of an environmental management system. 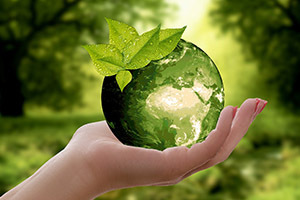 With the increased necessity for environmental responsibility, organizations choose this EMS standard to confirm their commitment towards environment while carrying out business. Inzinc panel consists of experienced ISO 14001 consultants in India who ensure proper establishment and implementation of ISO 14001 standard. Environmental management system (EMS) is the part of an organization’s management system that is used to establish and implement its environmental policy, objectives, targets and manage its environmental aspects with the goal of protecting the environment. What are the Benefits of the Environmental Management System standard ISO 14001? By putting the environmental policies & procedures in place and enforcing them, the resources and wastes can be well managed which leads to cost reductions. Emphasizes the organization's commitment towards protecting environment and preventing pollution. Ensure legal compliance by which environmental legal responsibilities are satisfied and better managed. Helps to manage and mitigate environmental risks. Improve environmental performance of not only the organization but also of its supply chain. Be part of the global environmental protection initiatives. Boost organization's public perception and brand image. With good industry experience in the documentation and implementation of ISO 14001, we are glad to be one of the leading ISO 14001 consultants in India. The Aspect-Impact study is a vital concept to be taken in to account during the establishment, implementation and maintenance of an Organization’s Environmental Management System. To stay relevant and match the growing drive of environmental protection, ISO has released the new ISO 9001:2015 on 15th September 2015. The new ISO 14001 2015 version has a common higher-level structure (Annex SL) with the intent to simplify integration with other ISO management system standards. The new version puts Top management accountable for the effectiveness of the Environmental Management System. There is a necessity for the Top Management to integrate the Environmental Management System with the strategic direction of the organization apart from provisioning of resources and promoting continual improvement. The ISO 14001 2015 version places requirement of establishing a risk management process where it is required to identify risks and opportunities related to your organization’s context, its interested parties, its compliance obligations, and its environmental aspects. After the identification of risk, the actions to address these risks & opportunities must be defined and integrated with the EMS processes. The new ISO 14001 update 2015 requires that the consideration of environmental impacts throughout the value chain and consideration of life cycle issues in each stage. The term “target” used in the previous editions of this ISO 14001 standard is included within the term “environmental objective”. The new ISO 14001 standard does not contain the term preventive action. Preventive action thinking is to be used in the context of the organization and risk management. This is done with the thinking that the whole purpose of an environmental management system is to act as a preventive tool and a separate preventive action would only confuse and duplicate the efforts. The revision introduces the term ‘environmental condition’, which it defines as ‘long-term environmental changes that can affect the organisation’s activities, products and services, requiring adaptation’. This aim is to getting organisations thinking about the environment’s impact on them, rather than the impact they have on the environment, which is considered a significant weakness of the current version of ISO 14001. An exclusive clause on Continual Improvement is included in the new ISO 14001 2015 version which serves as a catalyst to enable us to keep making continual improvements in relation to the environmental management system. Inzinc is one of the leading ISO 14001 Certification Consultants in India who will ensure successful implementation of ISO 14001 standard through a proven ISO 14001 consultancy process. Our ISO 14001 consultants in India have enough industry experience in documentation and implementation of Environmental Management System. Inzinc provides consultancy through its expert ISO 14001 consultants in Bangalore (Bengaluru), Ahmedabad, Belgaum, Bellary, Bidar, Chennai,Chitradurga, Coimbatore, Davanagere, Dharwad, Hoskote, Hosur, Hubli, Hyderabad, Kochi, Mangalore, Mumbai, Mysore, Pune, Shimoga, Tumkur, Udupi, Visakhapatnam, Goa, Karnataka and all other cities of India.